RED-i (Real Estate Development Interactive) have announced that they have now become the first company in South Africa to license the Google Maps Engine (GME) platform as a part of their service offering to property developers and their teams. Google Maps Engine harnesses the power of Google cloud to map very large volumes of data, providing users with a big-picture view of all their assets and associated information, displayed visually. 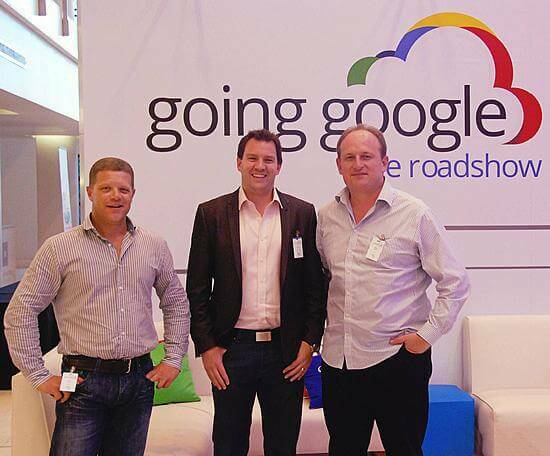 This directly addresses business challenges and decision-making information requirements, says Werner Stadler of RED-I, who was recently invited to speak at the Going Google Road Show, as part of a customer panel. This event gathered together business leaders for a day of discussion and experiential learning, illustrating how Google’s Enterprise technologies could benefit organisations of any scale, and how teams could be empowered to work in a smarter, more efficient manner. The benefits of using Google Maps Engine are significant, he said. “Users are familiar with Google Maps and Earth already, and the performance is simply astounding. In real-world tests, we were able to stream data that represents thousands of property outlines over a slow 3G connection, seemingly with no performance lag,” said Stadler. Apart from the above, the huge cost saving of not having to invest in building or maintaining in-house hardware, software and other technologies, but to leverage Google’s considerable “below-the-waterline” infrastructure, is of tremendous benefit to any business. “Not only are all homes and base infrastructure visible on a 2d aerial image, but the same information can be streamed securely via a private globe using Google Earth. Should you drop into Google Street View, you will see services, like electricity, fibre-optic lines, and underground pipelines displayed on the actual photograph,” said Stadler. The system now allows property managers to check things such as when or whether roads within a project have been maintained, who the contractors are, what electricity consumption is across the estate, who still needs to pay levies, and answer just about any question related to the financial and physical management of a property development. Administrators can also choose to securely share information with team members, managers, service providers and others, with the information safely (and privately) stored in Google’s data centres.